Ellery Roberts Biddle, Lisa Ferguson, and Sarah Myers West contributed to this report. Global Voices Advocacy's Netizen Report offers an international snapshot of challenges, victories, and emerging trends in Internet rights around the world. 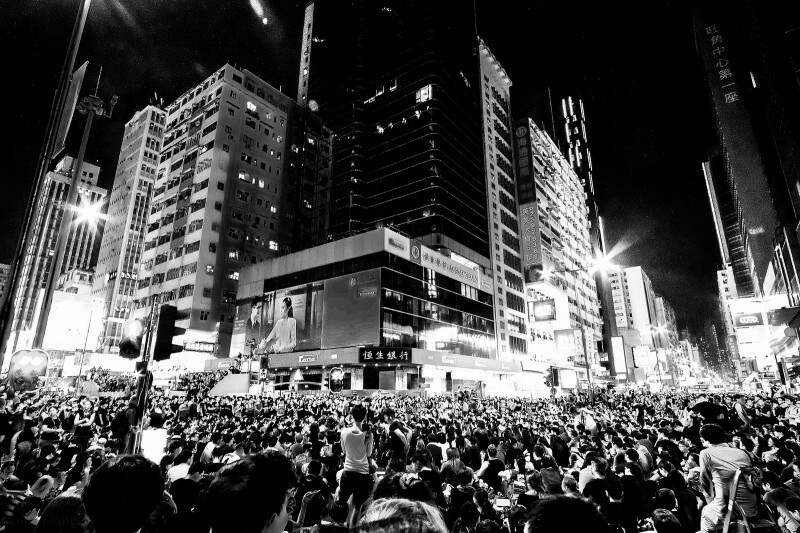 This week's report begins in Hong Kong, where a new round of pro-democracy protests has been met with mass police abuses of protesters and fears that cellphone networks might be shut down in the special administrative region. The protests also appear to have spurred unprecedented censorship of social networking sites in mainland China. Last month, Beijing decided it will require all candidates in Hong Kong’s chief executive elections to be pre-approved by the Chinese Communist Party, rather than allow direct elections, as it long ago promised. The decision triggered waves of protests and other civil actions, driving tens of thousands of protesters into the streets late last week. As images of student protesters being tear gassed proliferated, the Chinese authorities appear to have blocked photo-sharing service Instagram on the mainland, likely fearing that the photos could call to mind the 1989 Tiananmen Square protests. On Weibo, both “Instagram” and “Hong Kong” joined a long list of terms currently being blocked on the microblog site. Meanwhile, Instagram remains available to users in Hong Kong. Rumors that the local authorities may shut down the Internet to quell the protests, however, have spurred a surge in users of messaging app FireChat, which uses radio signals to connect phones within 80 yards of one another without the use of the Internet. Some protesters are avoiding the tool, however, citing security risks. Security researchers note that it is easy to impersonate others on FireChat, a flaw that could leave protester networks vulnerable to infiltration by pro-Beijing forces. The University of Toronto’s Citizen Lab published a helpful report covering the communications benefits and security drawbacks of FireChat in July of 2014, which can be accessed here. The CEO of gay-dating app Grindr warned that users may face serious threats to their personal security in countries that criminalize homosexuality, especially those that possess advanced surveillance capacities, such as Saudi Arabia. After several men using the app in Egypt and Saudi Arabia were tracked down online and sentenced to prison, Grindr has now hidden users’ geolocation information by default in Russia, Egypt, Saudi Arabia, Nigeria, Liberia, Sudan, and Zimbabwe. A Chinese court sentenced to life in prison Ilham Tohti, a Uyghur minority group member and academic, after convicting him of separatism. Ilham has advocated for peaceful reconciliation between Uyghur Muslims and Han Chinese following violent clashes over ethnic tension between the groups. He was accused of spreading dissent through the website Uyghur Online, which covers social issues from the Uyghur perspective. In Laos, Internet users and their Internet service providers could now face criminal charges for spreading “false” information about the government. Legislation approved last week also requires real-name registration for social media sites. The tightened controls on freedom of speech online come following the Lao government’s study of the restrictive Internet policies of neighboring Myanmar and Vietnam. Australia’s Senate passed new legislation giving its intelligence agency new powers to monitor the entire Australian Internet with a single warrant, and to send journalists and whistleblowers to jail for up to ten years for the disclosure of classified information, according to the Sydney Morning Herald. The National Security Legislation Amendment Bill (No. 1) 2014 received bipartisan support in the Senate and is likely to pass a vote in the House of Representatives scheduled for Tuesday. A working group of representatives from major Internet companies including Google, Facebook, Microsoft, Twitter, and Yahoo, convened by the Anti Defamation League, has released a set of best practices to combat online hate speech. The guidelines recommend the inclusion of user-friendly mechanisms for reporting hate speech and timely responses to user reports. According to estimates from Internet Live Stats, there are now officially one billion websites on the World Wide Web, which just celebrated its 25th anniversary in March of this year.